It’s time to crack your knuckles, open your calendar, and decide where you’re going to visit in 2018. We could toss around a number of cities we think are worth the trip, but this year, we thought we’d do things differently. We conducted a survey of 1,000 Canadians and asked them which city they’d recommend their fellow travellers visit in the new year. 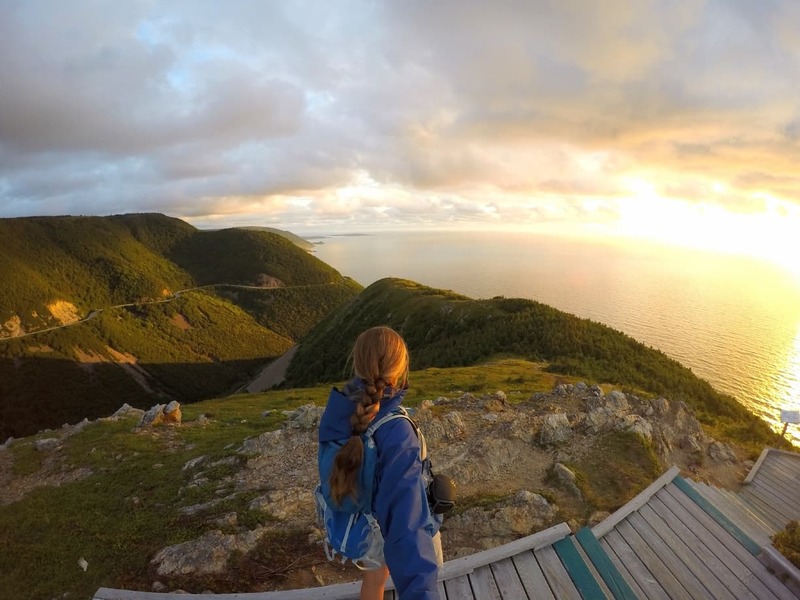 We had numerous survey-takers recommend Cape Breton, or, as one person wrote in all caps, “CAPE BRETON ISLAND.” We heard you! And we agree! This ridiculously pretty place is one for the ages. And, if you don’t mind the suggestion, a perfect place to propose if getting engaged to your partner is on your 2018 goals list (don’t worry; we won’t spoil the surprise). OK, so it’s not quite a bicycle-built-for-two type thing, but the 2018 Cape Breton Island Bicycle Tour is already open for registration. Taking place July 16-23, the route will take you to all the best corners of the area. Looking for a romantic restaurant? The Bite House only has room for 12 and is located inside a century-old farmhouse. All of the food is grown on-site or bought from local vendors, and the outside views are lovely to match. It’s no accident that there are about a dozen kayak tours out of Cape Breton. The waters are just too nice not to explore. 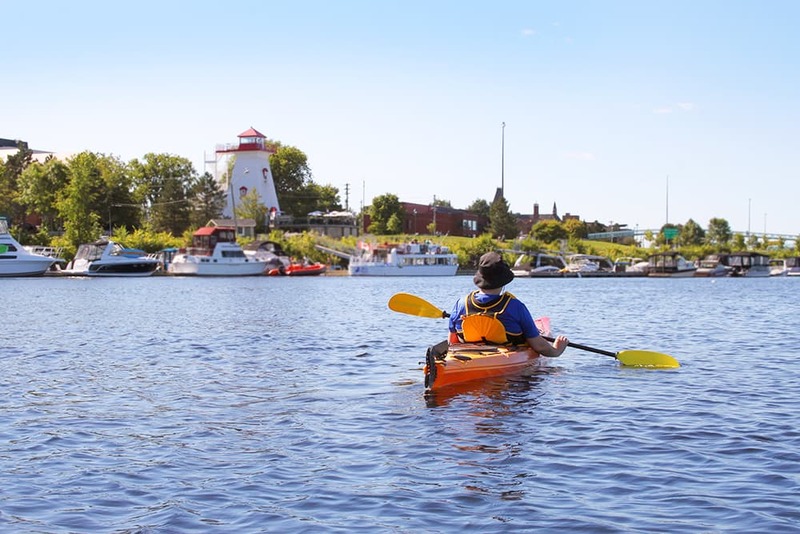 Book a spot with North River Kayak Tours and give those arm muscles a workout in the new year. Prince Edward Island wasn’t the only thing mentioned by our survey-takers; Cavendish itself was recommended by name. Could it be the beautiful scenery? The soft waves? Or is it because of the Cavendish Beach Music Festival that’s so good and so loud, your body will feel like it’s vibrating with the beats? The event recently announced the first artist for its 10th anniversary show, and trust us, it’s going to be a doozy. 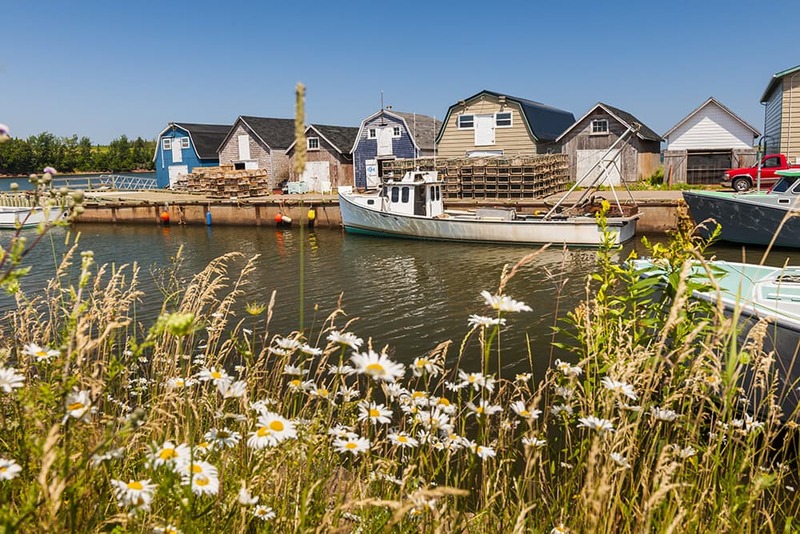 It’s a no-brainer that the can’t-miss event of 2018 is the Cavendish Beach Music Festival. Luke Bryan is the headliner, which is already creating enormous buzz on the island. The rest of the lineup is coming soon. Unlike your guru, we’re going to tell you to throw those healthy intentions out the window and head to Piatto Pizzeria instead. This popular spot offers a pizza of the week contest, where you can create the perfect pizza (and win a prize). They recently offered a “brain food” pie that featured vitamin-rich ingredients, with proceeds going to mental health organizations. After you’ve spent all that cash on concert passes and pizza, we think you might like the very free Cavendish Beach to walk around, stretch out, and enjoy the new year. You wouldn’t believe how many survey-takers recommended British Columbia as a top spot to visit in 2018. It could be the picturesque landscapes, epic cities like Vancouver or Kelowna, or even the growing foodie scene. But we’re going to take a different angle: beer. 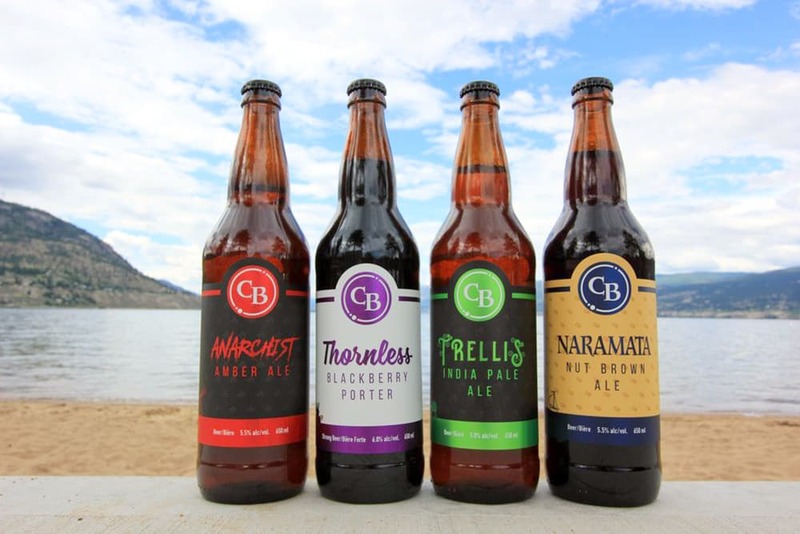 As you might have read in our Best Beer Towns article (which was one of our most read articles in 2017, btw), beer is BIG in BC. And might we suggest Penticton as first stop? Why, you ask? Just see below. You heard us when we said beer! The Okanagan Fest of Ale Craft Beer & Cider Festival is where you go when you want to get fuzzy in the brain and happy in the belly. There are about 175 crafted brews on deck, and about 5,000 attendees. Make this the year you’re 5,001. If you just want that #publife, there are so many great spots in Penticton. Cannery Brewing has an Anarchist Amber Ale with a crisp finish that pulls no punches; The Tin Whistle Brewing Company offers a Coyote Blonde Ale with hints of strawberry and banana esters; and Maple Leaf Spirits, Inc. offers unique fruit brandies, grape spirits, and maple liqueur. Want to burn off some calories? Penticton will have a brand-new triathlon this summer. The Super League Canada Race will take place August 17-19, and is not for the faint of heart. 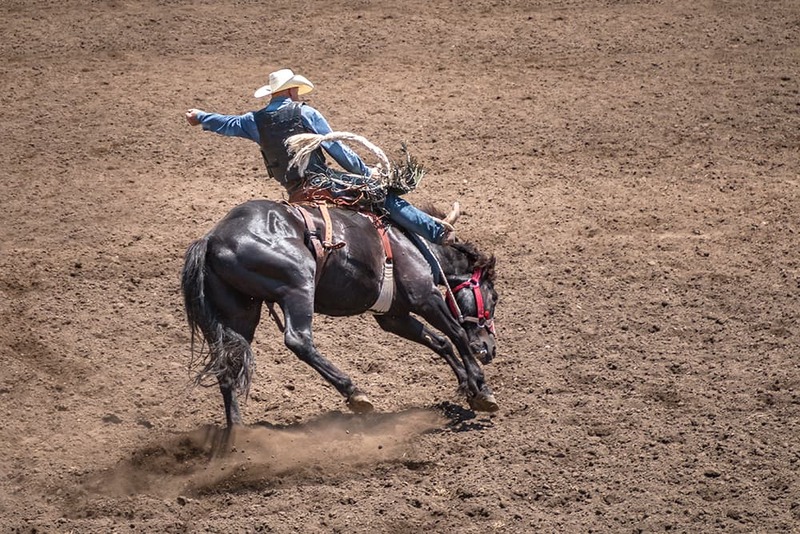 Here’s a little something we bet you didn’t know: The Ponoka Stampede is one of the five largest rodeos in the world. It’s been around for over 80 years, there are roughly 800 volunteers to pull it off, and about $800,000-worth of prizes handed out. When survey-takers recommended Alberta in 2018, they may as well have thrown in a cowboy hat with their answers. Ponoka Stampede is a must. Just do it, and thank us later. If you like local beer, pop into Siding 14. The town was considered the “siding 14” stop on the railroad, which is where the brewery got its name. Needless to say, regional pride runs deep, and you can taste the difference when you sip on their stouts and dark ales. Bull riding isn’t the only sport around here. Get your irons together, because the Wolf Creek Golf Resort is an award-winning green that can’t be missed. We can act surprised that Hawaii showed up so often on our survey results, but we’re too busy ordering a mai tai and putting on sunglasses. 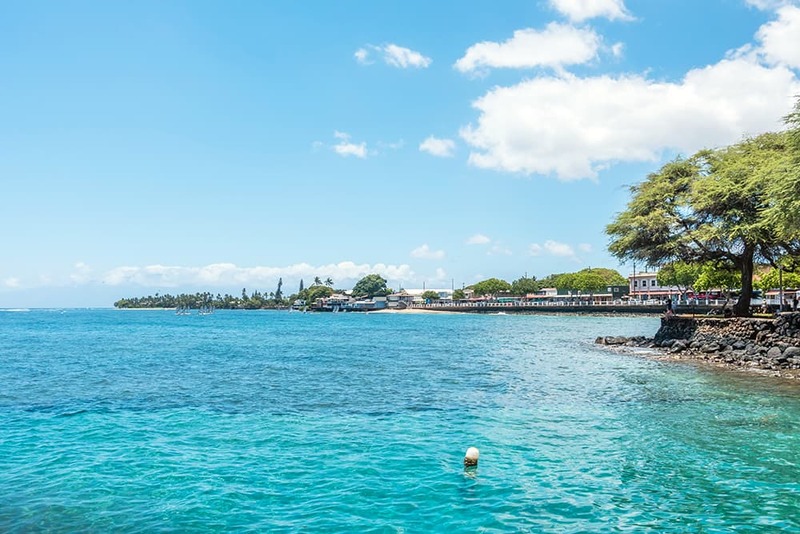 There really isn’t a bad island to explore or town to stretch out in, but we happen to think that Lahaina on Maui is where you’ll want to jet to this year. Why? This town was already named #1 in Hawai’i Magazine’s Readers’ Choice Awards and we see many, many awards in its future. Visit in 2018 before the rest of the world shows up at its shores. Get a feel for town when you walk along Front Street, the main hub of the area. Ignore that pesky “save money” resolution and pick up all the Hawaiian treats and goodies you won’t find anywhere else. Going strong for over 25 years, Lahaina Fish Co. is an institution around here. Slip into the island spirit when you’re sipping on a cucumber lavender mojito and chowing down some fresh ahi. The Maui Theatre isn’t just a local staple, it’s one of top attractions in Maui. Check the schedules, because they have exceptional productions throughout the year. As we said, British Columbia was one of the most recommended places to visit in 2018. In looking around, however, we thought we’d narrow it down to a town that might be able to fulfill some other likely 2018 goals: exercise, adventure, and thrills. In particular, Qualicum Beach has a little something called the 4-hour vertical cave challenge that will put your 2017 Netflix-and-don’t-move-the-rest-of-evening routine to shame. When you arrive to Horne Lake Caves, bring your nerves, because the activities aren’t messing around. 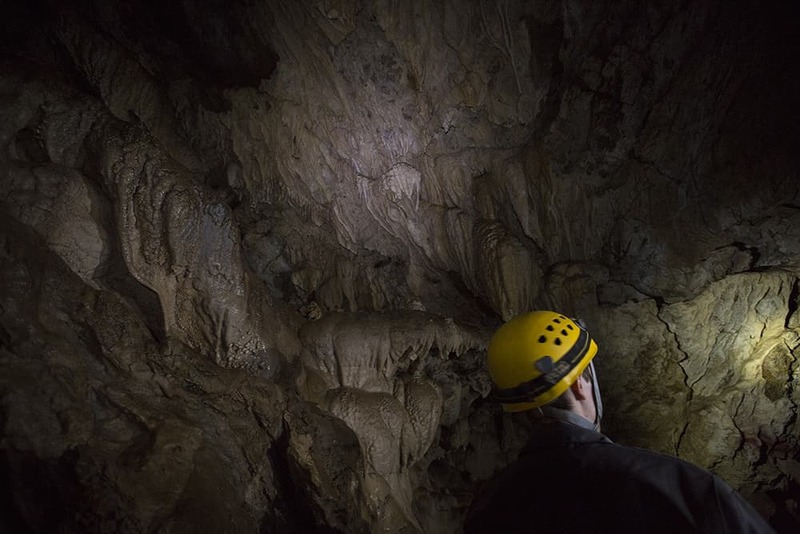 The 4-hour vertical challenge is located here, along with a 5-hour extreme cave rappel and a 3-hour cave spelunking tour. You got this. Speaking of adventures, don’t you think it’s time to jump out of an airplane? Skydive Vancouver Island is headquartered on Qualicum Beach, and they’ll have no problem helping you fall down to earth. With a name like Seedy Saturday, you knew we were going take the risk and check it out. Turns out that the event is not risqué as we might have expected (it’s a gardening event in February), but what a name to share on your Facebook updates. Timing couldn’t be better to see Japan on the recommendations list. 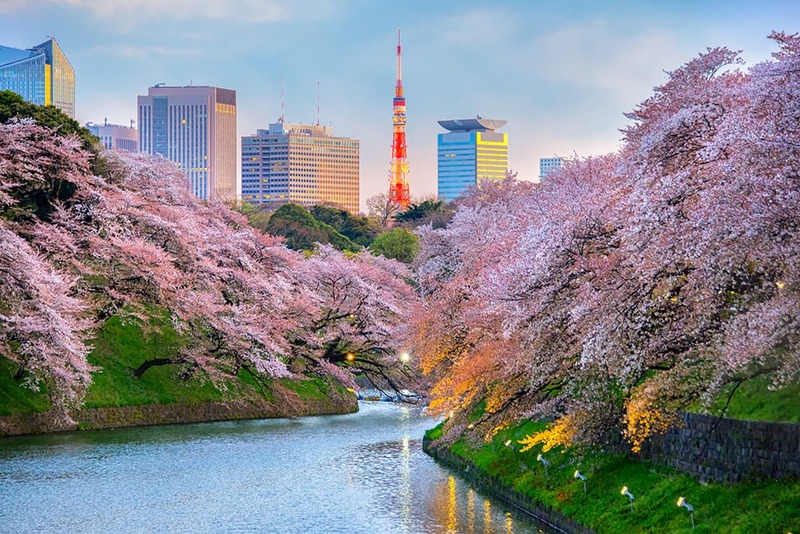 With the Rugby Cup heading to the country in 2019 and Tokyo hosting the Olympics in 2020, it’s only going to get busier (and pricier). Get in before the crowd! There are so many popular festivals in Tokyo, but one of the biggest is Asakusa Sanja Matsuri. It involves a huge parade with about 100 shrines that are lifted up and walked through the streets to evoke the power of the deities. Tokyo Skytree is one of the tallest structures in the country, and you won’t want to miss the views from the observation deck. Japan is well known for its seafood. For a taste of the past and present, head into Tsukiji Market. It’s the oldest fish market in the world and includes about 500 different types of seafood. Edmonton is that cool kid in a leather jacket hanging out with a garage band instead of going to prom. 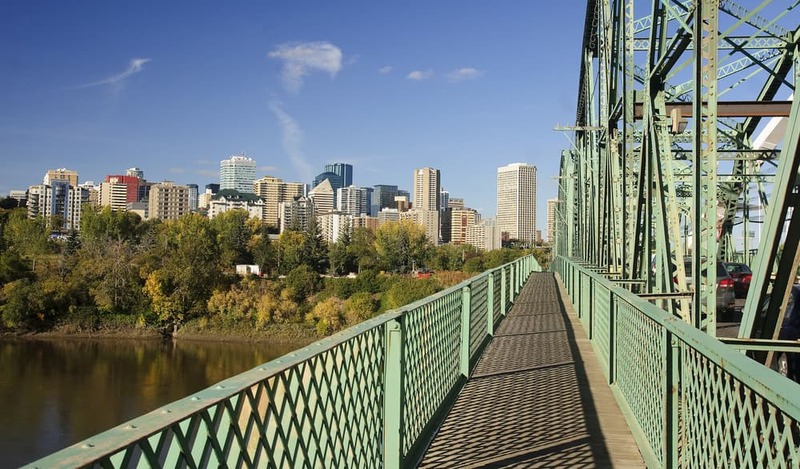 It might not always get the spotlight like Vancouver or Montreal, but it turns out that everyone would rather hang out with Edmonton than anyone else. How do we know that? It was one of the most recommended cities to visit in 2018. 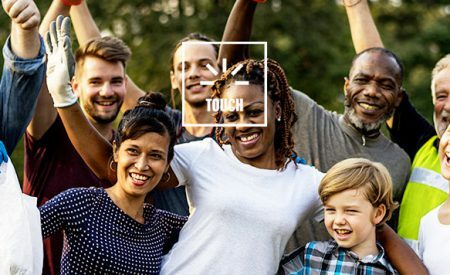 Let’s break down just some of the reasons people love it here. We don’t have to tell you that the Edmonton area puts on some incredible festivals, but did you realize that the biggest has already announced its 2018 lineup? Big Valley Jamboree will include acts like Alabama, Jess Moskaluke, and Billy Ray Cyrus. Speaking of events, the Ice Cross Downhill World Championship is returning to Edmonton this year. The event will feature Canadian Jacqueline Legere aiming for first place for the third year in a row. Edmonton’s food scene is on the rise and will only get bigger in 2018. But don’t take our word for it. Actually, there won’t be words left when you’re stuffing your face at Taste of Edmonton (happening in July) or stopping into DIE PIE, the first plant-based pizzeria in the city that will make all your vegan friends jealous. Tennessee, how Canadians love thee. Of all of the 50 states in America, we were surprised to see how often Tennessee showed up on the list. And while Nashville gets quite a bit of love, we happen to think that Manchester—located an hour out of the city—is really where you want to go. Why? One word: Bonnaroo. This 4-day festival is absolutely bonkers and 2018 tickets are already on sale. With 150 shows on more than 10 stages, this place goes off. Be there. What are you waiting for? 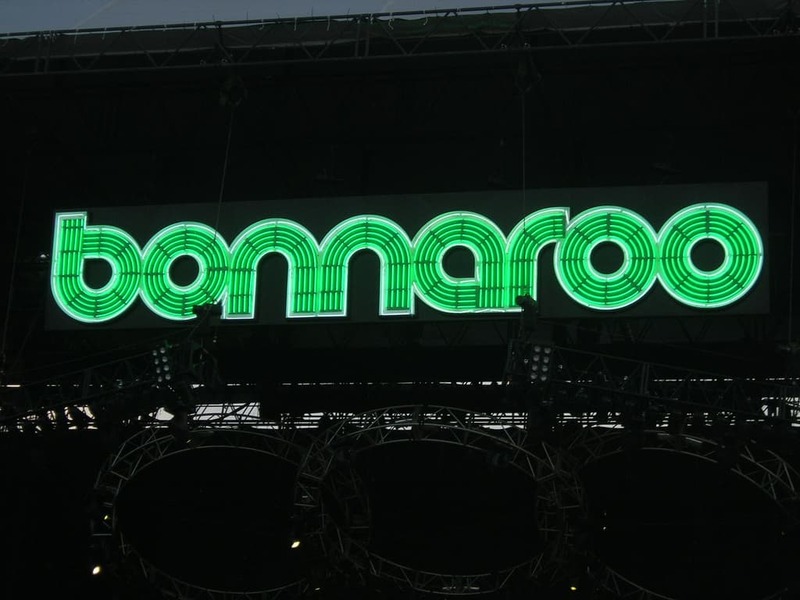 Bonnaroo tickets are going fast! We bet you didn’t think that you’d be eating Italian in the South, but West Main Brick Oven isn’t like anywhere else—well, maybe Europe. The recipes here have been passed down through the generations, and you can taste the love. It isn’t Tennessee without some fine whiskey. Where should you go to taste the amber liquid in all its glory? Short Mountain Distillery. This nearby watering hole also offers some killer moonshine. Quite a few of our respondents must have had the Bob Marley & the Wailers vinyl playing when they voted, because Jamaica was another top answer to our open-ended question. And why not? 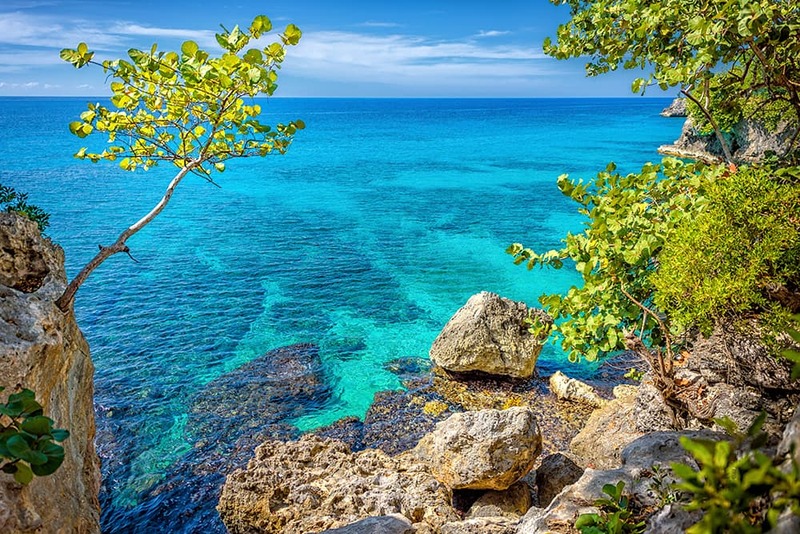 Beautiful beaches, good food, and good atmosphere all make this place—and the city of Negril in particular—a blissful scene. Call it stereotypical or call it a party, but it’s just not Jamaica without someone singing “One Love.” Don’t miss the annual Bob Marley Birthday Bash, which is happening February 2-4 and will include dozens of artists celebrating the life of the late great star. It’s all about good food when you’re living your best island life. For that, go to Rockhouse Restaurant, which offers spiced chicken and fried plantains among other signature dishes. 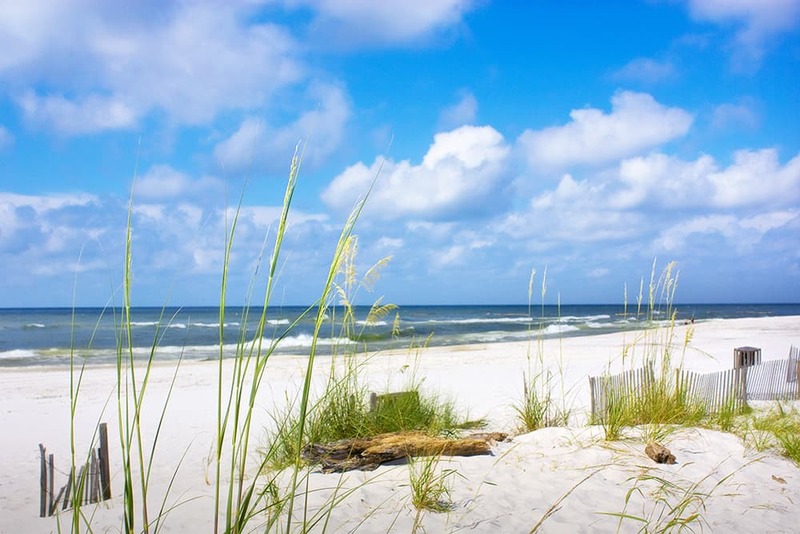 When you’re ready to take a nice mellow walk somewhere beautiful, the Seven Mile Beach is the perfect location. Do you have a ton of friends who blow off plans to go climbing when the weather is good? Well, in 2018, you can be “that” friend, and join them. If you need a place to get those kinks out of your joints and muscles, might we suggest Squamish in our poll-popular British Columbia? There are a ton of rock climbing areas as well as major outside events that will get you from couch potato to mountain goddess in no time. 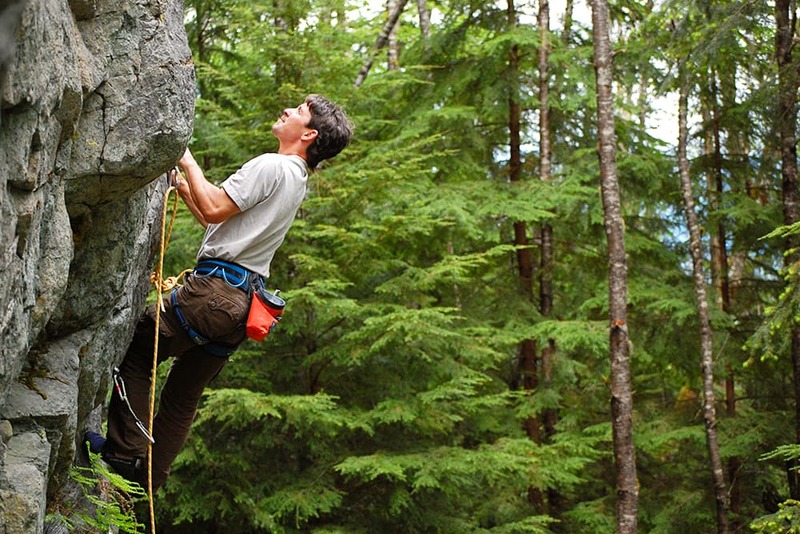 There are so many outdoorsy events in Squamish, it’s a little insane. And speaking of insane, if you’re just crazy enough, challenge yourself to Squamish 50, a 50-mile race up and down steep vistas. If you want to push it even more, how about the Squamish Triathlon? It’s celebrating its 20th birthday in 2018 and is only for the hardest of warriors. When you want to get carried away by art, music, and culture, plan your visit around the Squamish Wind Festival. This free event is one of the most anticipated events of the year. New Brunswick certainly didn’t go unnoticed in our poll. The province was recommended numerous times by our respondents. If we had to pick just one city to narrow your focus in 2018, let be Fredericton. With art, nature, and a pretty soundtrack, this cozy town probably should have been on your to-do list years ago—make this the year you make up for it. This year marks the 40th anniversary of the Fredericton Marathon. The Westmorland Street Bridge will be included in the challenging 3-day race, as well as other new elements for the celebratory event. When you want to get jazzy, you can’t miss the Harvest Jazz & Blues Festival. There are over 150 shows and 400 musicians that perform across six city blocks. Passes for the 2018 event are already on sale. You might have a “no drama” policy in life, but you might be open to an exception with the New Brunswick Drama Festival happening May 7-12. Each playwright brings their biggest ideas to the city. Think that cowboys only exist on the prairies? No, sir. 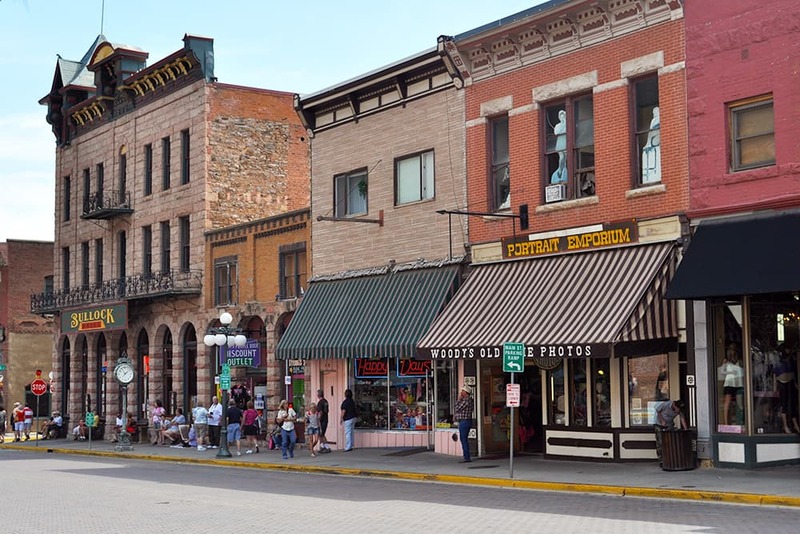 Deadwood, South Dakota, is a rough rider, tumbleweed-kicker, show-stopper kind of place. 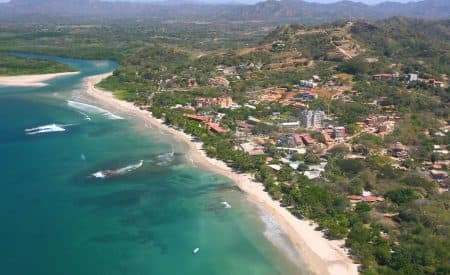 And it was mentioned by name as one of the top places to visit in 2018. This destination town embraces its Wild West spirit with numerous attractions and gambling houses. If you think you’re good at poker, prepare to put those skills to work in the new year. It’s not a party without a visit to the saloon. And there’s one place that always rises about the rest: Saloon #10. There’s everything from Texas Hold ‘Em to cheeky adult toy bingo around here. It’s about fun, plain and simple—with a few splashes of whisky. Parades, classic cars, and live music all make Kool Deadwood Nites one of the best events of the year. This year takes place August 23-26 and you won’t want to miss a spot in the crowd. Take some time to learn about the past when you visit the top museums in the city. Favourites like the Adams Museum and Days of ’76 Museum showcase antique guns, buggies, and relics of the Wild West. 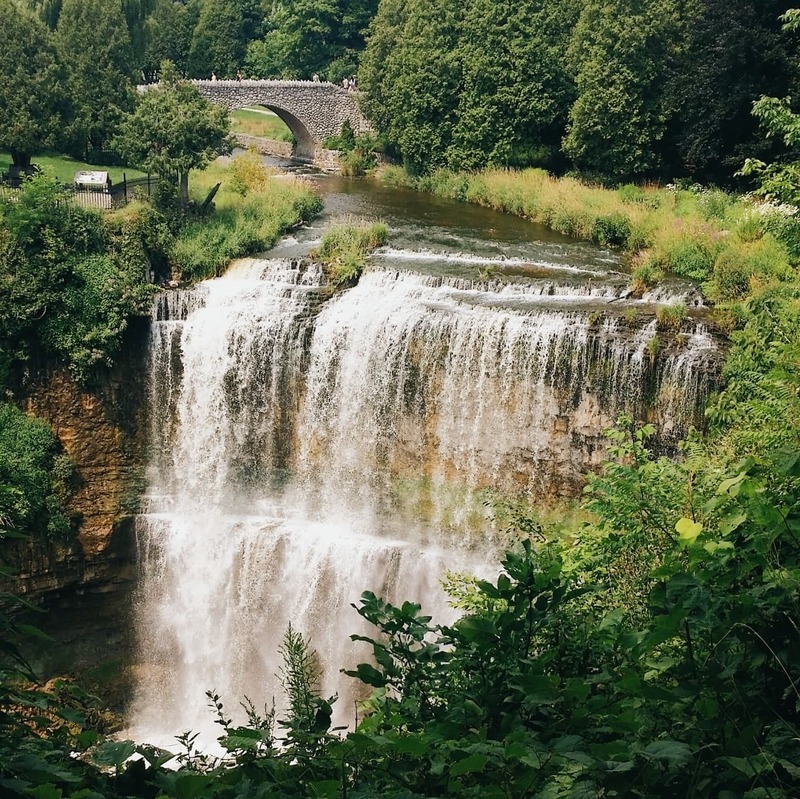 Mentioned by name in our survey, Hamilton is one of the quintessential Canadian towns you simply need to experience if you haven’t been yet. We’re talking sparkling shorelines, booming festivals, and regional cuisine that pulls no punches. Honestly, we weren’t surprised one bit that Hamilton was so highly recommended. If you’re that one person in the office who always changes the station to country, you’re going to like what we’re about to say: Hamilton has been selected to host Country Music Week and the Canadian Country Music Awards in 2018. Don’t miss it! The real question isn’t what’s new in Hamilton, but which brews are in Hamilton. There are so many craft beer spots here that there are always new flavours to try. Experience them all when you tag along the True Brew Path. Did you know that the Around the Bay 30k Road Race is one of the oldest runs in North America? And did you know that it’s almost sold out? Move fast. Step aside, Coachella, because the biggest music event of 2018 is the Hangout Festival in Gulf Shores. The lineup was just released with acts like Kendrick Lamar, The Chainsmokers, St. Vincent, and Odesza making an appearance. If you don’t have plans May 18-20 yet, we suggest you buy yourself some passes while you still can. The Hangout Festival is ridiculously awesome. The music. The setting. The vibe. Pure magic. With those beautiful waves calling your name, allow yourself to answer back. The Down Under Dive Shop provides scuba diving classes, so you can get your certificate and head into those deep blue seas. When you’re in this town, you eat seafood. And there’s no better place for crab cakes, calamari, and baked oysters Rockefeller than Nolan’s. The United States was a popular choice in our poll, and it wasn’t easy narrowing down a selection. However, our typewriter-and-monocle sensibilities were keen on Vancouver, Washington, which was recently named as the most hipster city by MoveHub. What can we say? We crave anywhere with Edison lights, exposed brick, and tattoo shops. Before everyone else starts rerouting their trip from Portland or Seattle and crowding the latest donut bar, make sure you see Vancouver first. You had to know that a brewery would show up on our list, and we couldn’t pick a worthier place than Loowit Brewing. This award-winning brewery features unique flavour profiles like toasted marshmallow, rich coffee, and roasted barley. People with snide remarks about hipster food can sit down. We’ll be perfectly happy without them at Frontier Public House, enjoying dishes like Brussel sprouts & Tuscan kale, made with bacon. This town isn’t just bacon and beer, though. 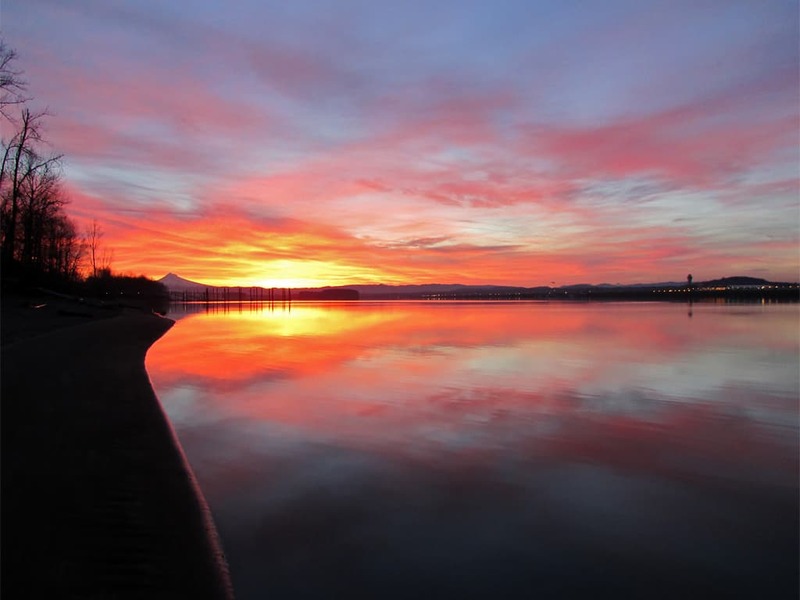 The 8th Annual Columbia River Triathlon & Fitness Festival is going on August 17-19, 2018. 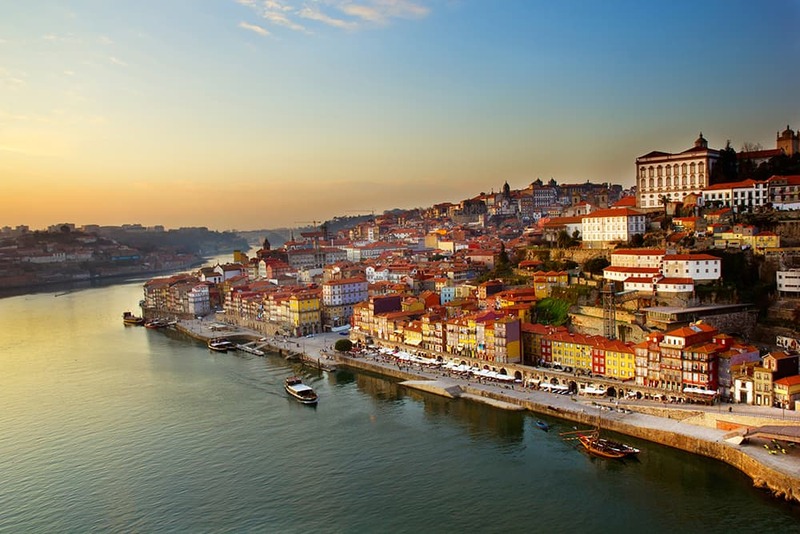 While beer drinkers certainly had their say when creating this list, there was a least one wine aficionado who needed the world to know about Porto, Portugal. Forget what you’ve heard about Napa and Tuscany; Porto is the next great wine city. Given its reputation as a wine city, you can bet that there are tons of vineyards that surround the area. One of the best is Graham’s Port Lodge, which has been making beautiful Port wines since 1820. What’s a nice buzz without some tunes to go with it? Make some time to attend NOS Primavera Sound, an alternative music festival that takes place each June. It’s considered one of the most beautiful bookstores in the world, with its cathedral-style architecture and dark woods that contrast with the colourful book spines. Make “read more” a 2018 resolution and enjoy what Livraria Lello has to offer. Showing up more than any other city by name, Toronto is where locals and travellers want you to explore in the new year. Given its popularity, you may want to move fast. Maybe “become a vegan” is on your resolutions list or maybe you just need a place to bring your vegan friends who won’t stop talking about their new diet. Either way, the Toronto Vegan Food and Drink Festival is a MUST. Calling all Gryffindors and Ravenclaws (OK, you too, Slytherins and Hufflepuffs), you’ve surely heard of The Lockhart. This magical place features drinks like the Gin Weasley, the Lavender Brown, and The Shacklebolt. And if you’re feeling like reading some wise tomes afterward (maybe you have a triwizard tournament coming up? ), Thomas Fisher Rare Book Library looks like something straight out of Hogwarts. Toronto has always been at the forefront, but even this will push your imagination to new extremes. The Virtual & Augmented Reality World Conference & Expo (VRTO) is one of the most unique events taking place in 2018. You can expect interactive exhibits, with 60 exhibitors and 100 speakers pushing the needle forward. It’s 2018, and the world is waiting for you to check it out! 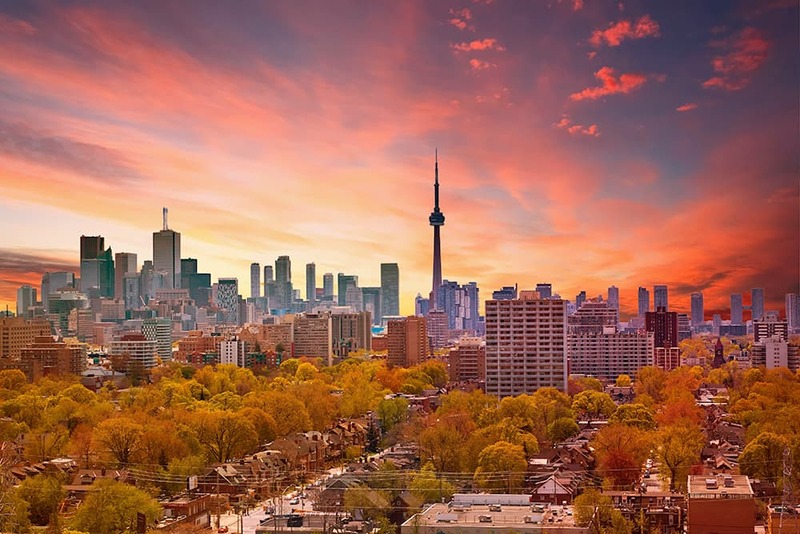 Trust your fellow Canadians and put any of these 18 cities on your to-do list. *The article has been updated to reflect that the cities listed are in no particular order. Lahaina is awesome.First time my hubby and I have been to Maui. Thanks For sharing …. I really enjoy your blog … As per my view, “Vancouver” city is the best place to visit. Wow! These would be such great places to visit. Thank you for the list.